I found a recipe for a scallion miso butter and I made it vegan simply by using Earth Balance. This compound butter is great on both Japanese yams and good old regular white potatoes. And doesn’t my yam look like a heart? It’s potato love! Bake the yams/potatoes until soft, about an hour and a half. Let the Earth Balance soften and mix with miso. Thinly slice the scallions and mix half into the butter/miso mixture. Save some scallions for garnish. Refrigerate until ready to use. 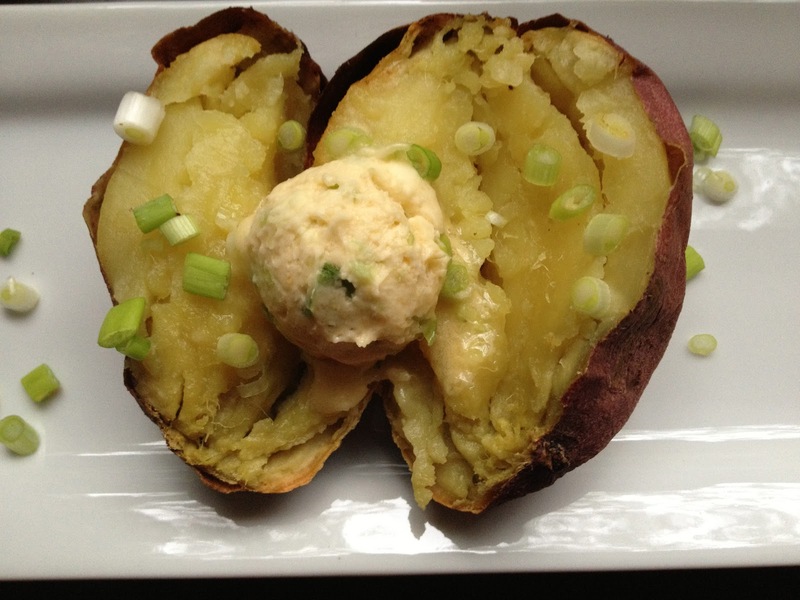 Split the yam/potato open and top with scallion miso veggie butter. Sprinkle with extra scallions. Enjoy!